In an attempt to protect ungulate species, BC is faced with a difficult dilemma. Is culling their predators an ethical response—and a scientifically sound solution? Nature has an exquisite way of striking balance between predator and prey, an elegant duet in which the abundance of one animal is tied to the availability of the other. However, in a world irrevocably altered by humans, the balance is skewed. Modern conservation biology raises troubling questions. What are we willing to give up to protect a species in decline? Is it an effective—or even ethical—conservation strategy to shoot, trap, or poison a predator to protect its prey? In British Columbia, it’s a question that haunts wildlife managers. The provincial government is proposing an extension of the wolf trapping season on Vancouver Island from eight to 10 months per year, citing declining deer numbers as the reason for predator control. Yet the environment ministry’s Fish and Wildlife Branch admits that it relies on anecdotal reports from hunters and trappers to gauge wolf numbers on the island. Dog may be man’s best friend, but the same can’t be said for its wild counterpart, Canis lupus—the species from which every lap dog and floppy eared mutt on the planet is descended. Humans have always had a fraught relationship with wolves. We have an ambivalence toward them that is complex. Ranchers understandably view them as a business cost and frequently shoot them to protect livestock. Some hunters consider them lethal competitors for the game they seek. In BC between 1910 and 1955, there was a fee-per-hide bounty system for culling wolves, and throughout the 1950s and 60s, government used planes to drop poison-laced bait to kill them. I visited a mountain lodge in Colorado recently. The walls were mounted with hunting trophies—sheep, deer, elk, and the head of a large wolf whose jaw the taxidermist had contorted into a vicious, snarling rack of sharp teeth. It’s a familiar caricature, the wolf as malevolent killing machine. In the BC interior, the human-caused imbalance between predator and prey is tragically illustrated by the plight of British Columbia’s mountain caribou, a sub-population of woodland caribou that dwell at high elevations and feed on a winter nutritional staple of lichen that grows only in mature forests. Decades of clearcut logging, road building, mine development, and recreational pursuits like snowmobiling and heliskiing have fragmented and degraded this habitat, pushing mountain caribou further and further into shrinking ecological cul-de-sacs. In British Columbia, it’s government practice to sacrifice wolves to save mountain caribou from extinction, and it’s shining an uncomfortable spotlight on the bureaucrats behind the policy. In 2007, the BC government initiated the Mountain Caribou Recovery Implementation Plan in an effort set aside habitat, restrict recreational access, and restore caribou number to the level of 2500 animals. So far, five million acres of mountain caribou habitat have been protected from logging and road building, and another three million acres from motorized recreation. Despite these measures, certain caribou populations continue to decline. In terms of population viability, it is now the 11th hour for mountain caribou. That’s why in April 2014, the BC government adopted a Wolf Management Plan. One of its cornerstones is killing wolves to save caribou, even though a majority of the 3200 people who submitted responses during the public comment period for the plan opposed such measures. Almost before the ink had dried on the document, shooters were in the air in early 2015 scoping for wolves and by springtime that year 85 wolves had been shot, at a cost to BC taxpayers of nearly $500,000. Yet many in the scientific community believe the link between predator control and boosting caribou numbers is tenuous at best. UNBC’s Chris Johnson says although there is some evidence that targeted wolf culls could help mountain caribou, it is not a long term solution. “There might be a place for wolf culls if the government could say that they’ve done everything they can to protect mountain caribou habitat, but they can’t,” Johnson says. And that, in bland bureaucratic parlance, sums up the shaky ethical and scientific rationale of the government sanctioned crusade against wolves, begging the question: why roll the ecological dice with this animal? The BC government says wolf populations in BC are healthy (somewhere between 5300 and 11,600 individuals) and can sustain a cull. But any predator population estimate must be taken for what it is: an estimate. Getting an accurate census on these elusive animals is difficult and expensive work that goes beyond the budget of most government wildlife agencies. I saw my first wild wolf years ago on a frigid February day in Chilcotin country. I was hunkered on the edge of a meadow near the Nemiah Valley on the lookout for wild horses. Snow drifted lazily from a grey sky. A flicker of motion caught my periphery, and I turned my head to spot a solitary wolf, it’s grey fur mottled white and tan, trotting out of the timber. It paused briefly in the centre of the meadow, swiveling its head from side to side, then continued on purposefully, disappearing once again into the forest. It was breathtaking. The word “predator” has obvious pejorative connotations in the human context, associated with the darkest aspects of the animal world. But it in an objective context, predators are astonishingly beautiful and awe inspiring. Imagine a mammal whose very survival depends on its ability to track, hunt, and capture prey who are highly evolved to elude such capture. 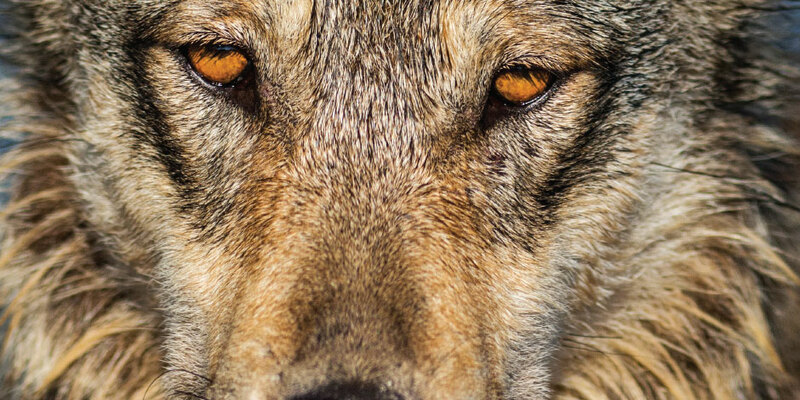 For most of us, witnessing a single wolf in the wild is a stroke of fortune. They can be as elusive as El Dorado, and will see us much more often than we will ever see them. Stealth is the very essence of the predator’s evolutionary advantage, however it is no match for poisoned bait, a leg hold trap, and a marksmen in helicopters. The plight of mountain caribou has put wolf in the crosshairs, and wildlife managers in a tough spot. After all, what environment minister in BC would want to have a mammal go extinct under their watch? 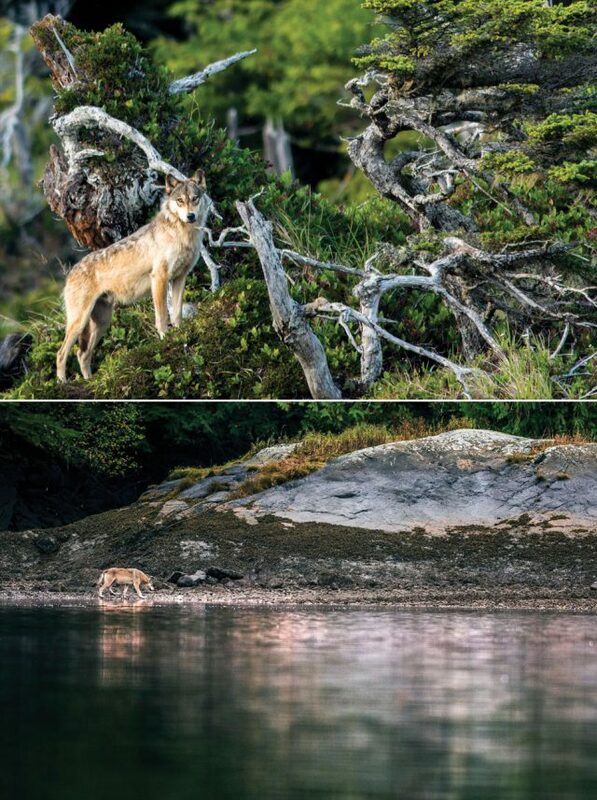 On Vancouver Island, we don’t face the imminent extinction of an ungulate species, as the mainland does with mountain caribou, yet wolves are being singled out for lethal control. Is this sound conservation science or reckless intervention? The verdict is anything but clear.